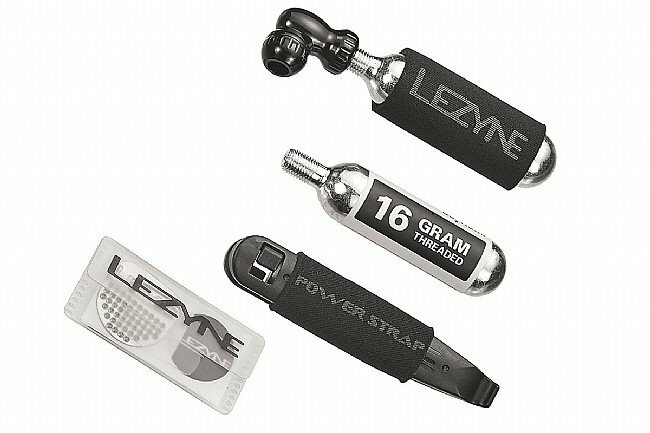 Weighing in at 46g, the CO2 Repair Kit from Lezyne is lightweight yet it provides everything needed for a speedy flat repair: super adhesive glueless patches, an abrasive reusable scuffer, two 16g CO2 cartridges, two Power tire levers, and a compact threaded CO2 adapter. This was a great little kit. Saved me some space. It would be great if it came with a small pouch. Bike repair kit for on the road repair.